Are Engineered Hardwood Floors pet-friendly floors? Not really. However, engineered hardwood with the toughest finish and/or the highest Janka hardness score might be ok. Please be cautious that once the damage is done on engineered hardwood you have just one chance at a re-sand if you’re lucky. Will Engineered floor fade or change color? Yes, it can fade in heavy sunlight. However, choose a light-color engineered hardwood that won’t fade as easily as the darker woods if you insist on the engineered hardwood. Can I sand and refinish an Engineered floor? Floors with a wear layer less than 2 millimeters thick can tolerate a light scuff-sanding with a buffer. 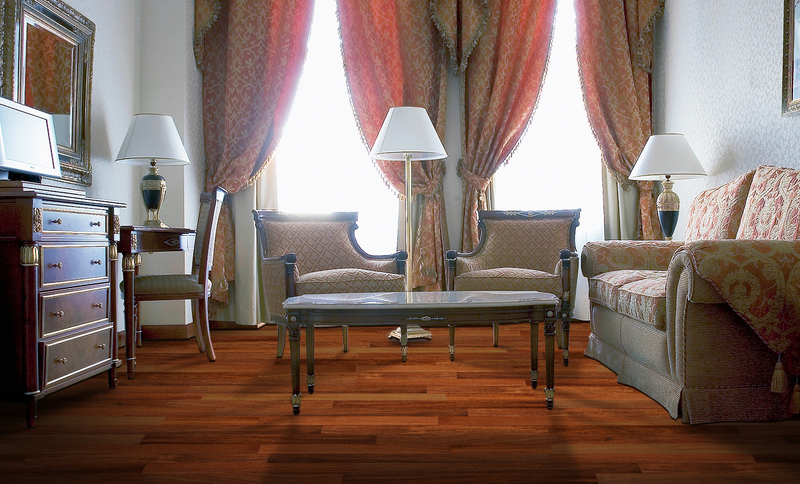 An engineered floor with 3-millimeter top, for instance, can handle two refinishing. Will my Engineered flooring scratch? How can I repair scratches? Yes, you might get scratches for engineered hardwood floor. After identifying the scratch, clear surrounding furniture to create some ample working space Sweep the floor clean with your regular sweeping broom and then carefully wash the scratch with a cloth or cotton wool dipped in alcohol. Slightly sand the floor using your sandpaper taking heed not go too deep or to sand areas without scratches. This helps limit you work, which is damaging in a way, to the bare minimum. Follow the instructions of use on your wax kit of choice. After you are sated with your handiwork, use the fine sandpaper to get rid of the extra filling and to gently rub the top of the finishing smooth. How to clean engineered hardwood floors without using a damp mop? We’ve found the best way to clean engineered hard wood floors is to avoid using water all together. There are some great microfiber floor mops that will take up dust and light dirt just as well as a damp mop. How often should I be cleaning engineered hardwood floors? The short answer is as often as is needed, but like hoovering carpet, once a week is usually a good idea. What’s the best way to dirt off of engineered flooring? Place a mat at each entryway for foot-wiping or encourage people in your household to take off their shoes when entering your home. What kind of mat is best? Choose a mat that DOES NOT have a rubber backing. The rubber can trap moisture underneath it that might harm your flooring. Is there anything special that should be done in winter? Place a mat outside with tough bristles on, so snow and ice can be removed from the treads. Then, do not leave shoes or boots directly on the wood surface in case snow or ice melt from them onto the floor. A plastic shoe tray works well, but be careful to dry any moisture that might get beneath it.